If you are redeeming a Deal Voucher from the Scoopon, they MUST be redeemed through this web page, do not call the office to make bookings. Harbour Jet departs every day from Darling Harbour from 11am till sunset during summer months (Dec-Feb). During other months, Harbour Jet only runs Saturday and Sunday, 11am-3pm*. *If you are looking for a departure Monday-Friday we would be happy to book you in with our sister company, Thunder Jet. 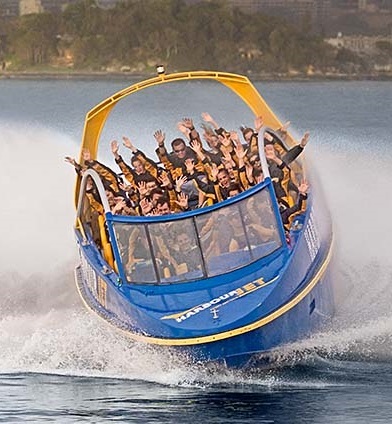 Thunder Jet runs from Circular Quay Eastern Pontoon, Monday-Sunday.